As a department, we want our students to gain the language skills and confidence to succeed in school and the world outside. We try to encourage a love of reading and an appreciation of the richness of the language, developing them as independent and enquiring learners. During their time at the school, students study a wide range of engaging texts and follow a program of personal reading to help them develop into insightful and perceptive readers. There is an emphasis on reading fiction, with every student studying two fiction texts per year as part of their class work, as well as reading novels during their independent reading time. To deeper understanding and to familiarise students with different styles of writing. There is exposure to older and non-fiction texts. Reading widely boosts vocabulary and writing skills. During English lessons, students participate in a variety of learning experiences, developing them as effective communicators and active learners. Our students go on to study English Language and Literature at GCSE. We offer English Literature AS level. The department organises theatre and cinema trips. Students are expected to complete challenging and regular homework tasks, to consolidate and deepen their understanding and to provide further opportunities to practice vital skills. Personal reading at home is encouraged on a regular basis to develop students as fluent and competent readers. Over Years 7, 8 and 9, students develop their reading, writing, speaking and listening skills through a range of units which cover many different types of text including poetry, drama, non-fiction and fiction through the ages. English classes are set by ability and achievement, and extra support is available for those who need further help. Gifted and Talented students are encouraged to involve themselves in enrichment activities offered by the department. The English department runs a number of extra-curricular activities for Key Stage 3 students including various theatre and cinema trips. 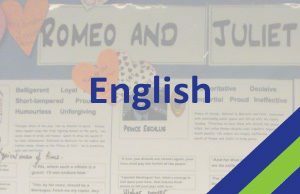 English at Key Stage 4 offers all students a lively and varied course, which develops their language and analysis skills through speaking and listening, reading and writing. 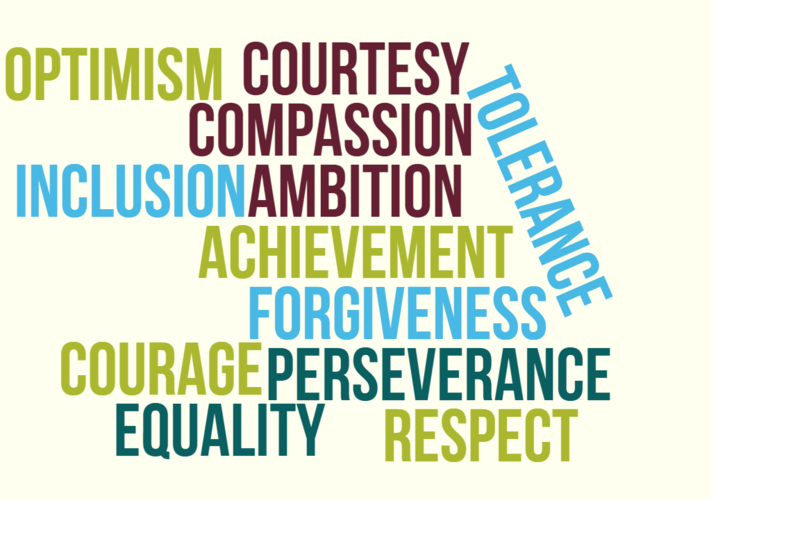 Students work towards two GCSEs – English Language and English Literature. KS4 students have five English lessons a week. They are also offered after school revision and study sessions in Year 11. Students are encouraged to enter competitions that we hear of in school. Visits to performances of studied and related texts form part of the extra curricular opportunities at KS4. GCSEs are linear, which means that they are assessed in the summer of Year 11 only, with a resit opportunity in November of the same year. Assessed• 1 hour 45 mins written exam. • 50% of GCSE. Assessed• 1 hour 45 mins written exam. – One extended response. Section A (40 marks) (25%)• Two linked texts. One non-fiction text and one literary non-fiction text. • Teacher set throughout course. (0% weighting of GCSE) Students have to be videoed giving a talk and answering questions on their chosen topic. All videos are sent to the exam board. This is the same for whichever exam board is chosen. Assessed• 1 hour 45 minute written exam. • Closed book exam. Assessed• 2 hour 15 minute written exam. Section A• Students will answer one question on their Shakespeare play (Romeo and Juliet). They will be required to write in detail about an extract from the play and then to write about the play as a whole. Section A: Modern texts• Students will answer one essay question from a choice of two on their studied modern prose or drama text (An Inspector Calls or Lord of the Flies). Section B• Students will answer one question on their 19th century novel of choice (A Christmas Carol). They will be required to write in detail about an extract from the novel and then to write about the novel as a whole. Section B: Poetry• Students will answer one comparative question on one named poem and one other poem from their chosen anthology cluster (Conflict). Section C: Unseen poetry• Students will answer one question on each of two unseen poems and one comparative question.